Author/Opus: This is the 45th puzzle from our contributing puzzlemaster John Bulten. Rules: See PDF link above for complete rules as well as a solvable example by Thomas Snyder. Time Standards (highlight to view): No time standard (GM time > 2hr). 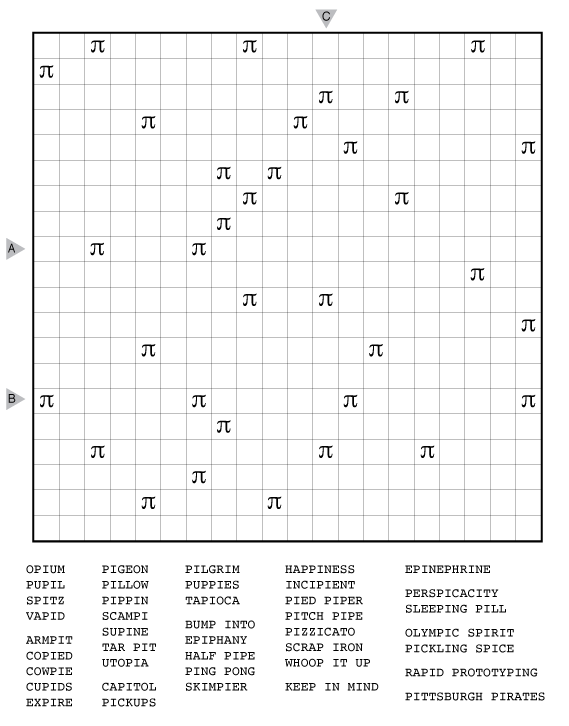 You can find all the slices of Pi from our most recent week of puzzles in this PDF. This week we are featuring Pentominous, which is the style of our most recent puzzle e-book “Plenty o’ Pentominous” by Grant Fikes and Murat Can Tonta. If you enjoy this week of puzzles, please get this collection of 52 original puzzles including several 15×15 grids and one giant puzzle. This week contains a few extras, including two extra puzzles on Friday and Saturday. There is also one easter egg hidden somewhere in this week’s puzzles which, if you find it, will tell you what word to enter here. Master+ subscribers to the site are getting a bonus Pentominous by Thomas Snyder and a Cave (Pentominous) variation by Serkan Yürekli as well as images of the puzzle solutions. If you want to become a subscriber and get access to bonus puzzles, solutions, e-books, and other rewards, check out this page. This is a puzzle-hunt style puzzle, prepared for an evening event at the World Puzzle Championship. There are no instructions; finding out what to do is part of the puzzle. Some UK cultural knowledge may be required. Author/Opus: This is the 289th puzzle from Thomas Snyder, aka Dr. Sudoku. Answer String: Enter the final answer of the puzzle in ALL CAPITAL LETTERS. 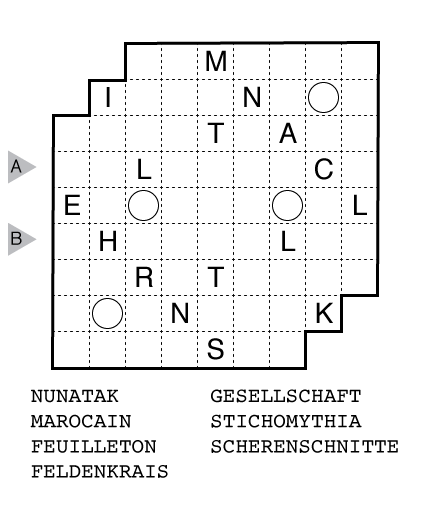 This is a puzzle-hunt style puzzle, prepared for an evening event at the World Puzzle Championship. There are no instructions; finding out what to do is part of the puzzle. Some US cultural knowledge may be required. 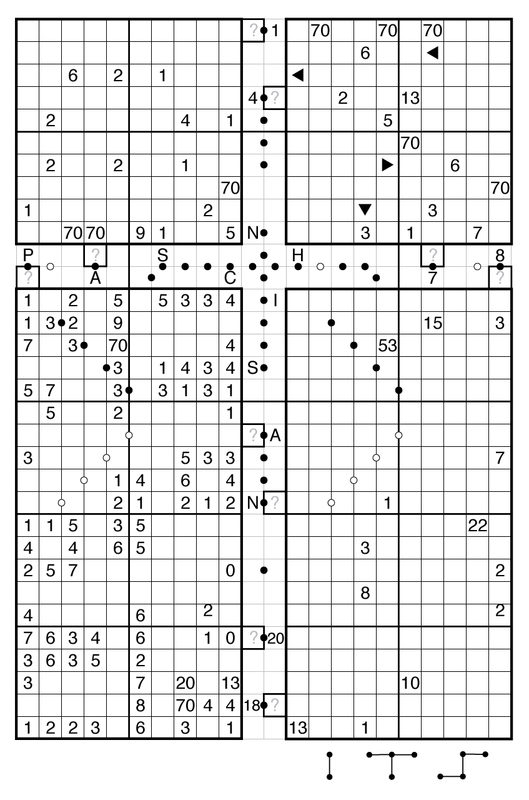 Author/Opus: This is the 288th puzzle from Thomas Snyder, aka Dr. Sudoku. Answer String: Enter the final answer of the puzzle, a single word, in ALL CAPITAL LETTERS. 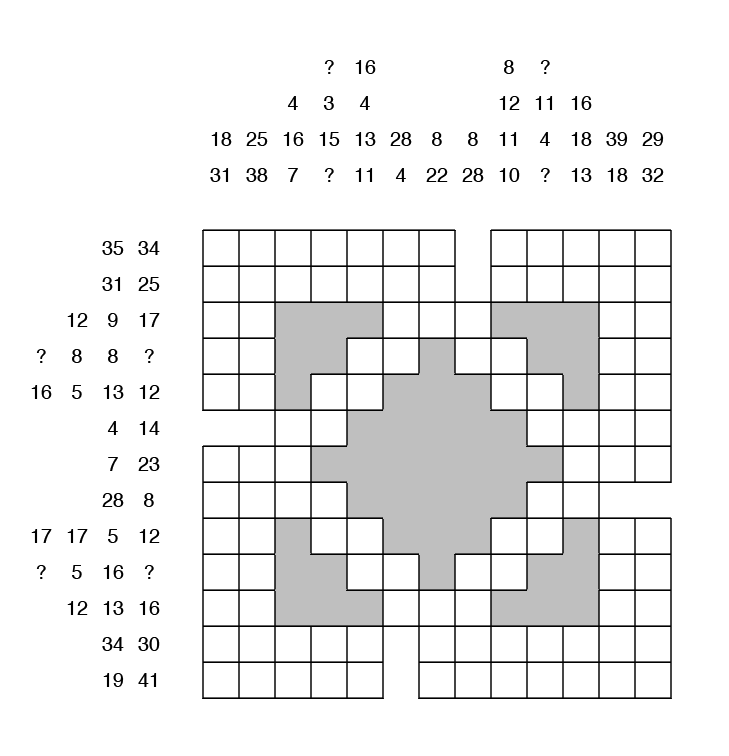 In honor of Kakuro’s past as Cross Sums and Cross Addition, John wanted to share this version of the puzzle with an older presentation style. 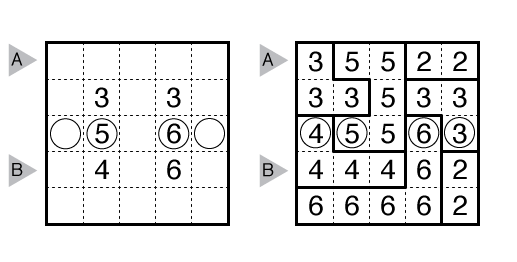 This presentation may help you find a “hidden puzzle” that John left for solvers to discover. Author/Opus: This is the 29th puzzle from our contributing puzzlemaster John Bulten. Answer String: Enter the fifth row and fifth column of the hidden puzzle solution in standard format, separating the entries with a comma.